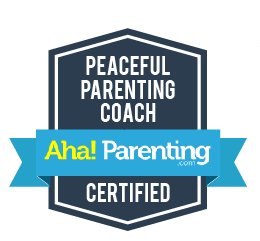 Need help putting Peaceful Parenting into practice? Get tailored coaching and guidance on your family’s challenges from parenting specialist, Olivia Bergeron. Work on getting the hang of Peaceful Parenting by connecting to and learning from other parents also seeking more sweetness and less strife at home. Sign up for a small accountability group today and get two free 30 minute phone sessions with Olivia, as your gift. For only $149US, you’ll get six booster classes AND two free 30 minute private phone sessions—one before class kicks off and one after we wrap up as a group. Plus, you always have the option of scheduling individual sessions for even more support. Classes meet biweekly starting on February 1 and run for six sessions (2/1, 2/15, 3/1, 3/15, 3/29, 4/12) from noon to 1:30pm Eastern Standard Time. You’ll be able to access the online classroom from your computer or smartphone. Prior to each class, you are free to submit questions and topics to the group to address. Chances are, if you’re having a hard time, you’re not alone and others can help! Discussion about the nuts and bolts of Peaceful Parenting will help your family foster the connection and harmony you and your children crave. Sign up on the form below by emailing Olivia your full name, preferred email address, and your children’s ages. Visit www.paypal.me/mommygroove to pay the $149 fee and hold your place in class. Sign up deadline is January 30th.